Beloved, because Jesus is the sum of the gospel he must be our constant theme. “God forbid that I should glory save in the cross of our Lord Jesus Christ.” “I determined not to know anything among you save Jesus Christ and him crucified.” So spake men of old, and so say we. When we have done preaching Christ we had better have done preaching; when you have done teaching in your classes Jesus Christ himself, give up Sunday school work, for nothing else is worthy of your pains. Put out the sun, and light is gone, life is gone, all is gone. When Jesus is pushed into the background or left out of a minister’s teaching, the darkness is darkness that might be felt, and the people escape from it into gospel light as soon as they can. A sermon without Jesus in it is savourless, and worthless to God’s tried saints, and they soon seek other food. The more of Christ in our testimony the more of light and life and power to save. From a sermon by Charles Haddon Spurgeon entitled "The Jesus Christ Himself," delivered December 9, 1877. 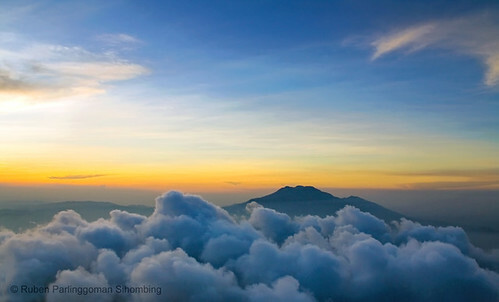 Image by Ruben Sihombing on Flickr under Creative Commons License.